Bostitch SB97 type staples, 3/16-inch crown, 20 Gauge. Chisel point. Galvanized and coated (yellow). Fasco and Spotnails brands. Interchangeable with: Bea 97, Atro-97, Spotnails 97, Prebena O, JK690. Fits: S3297-LHF-2, LHF97125, Duo-Fast ENC-5418A, Fasco F1A 97B-25, F1B 97B-25, F21P 97B-25A staplers. SB97 type staples 1/2-inch leg, Coated. 10,000/box. Fasco brand. 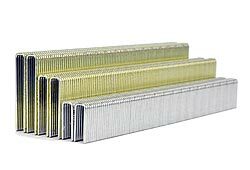 SB97 type staples 5/8-inch leg, Coated. 10,000/box. Fasco brand. SB97 type staples 3/4-inch leg, Coated. 10,000/box. Fasco brand. 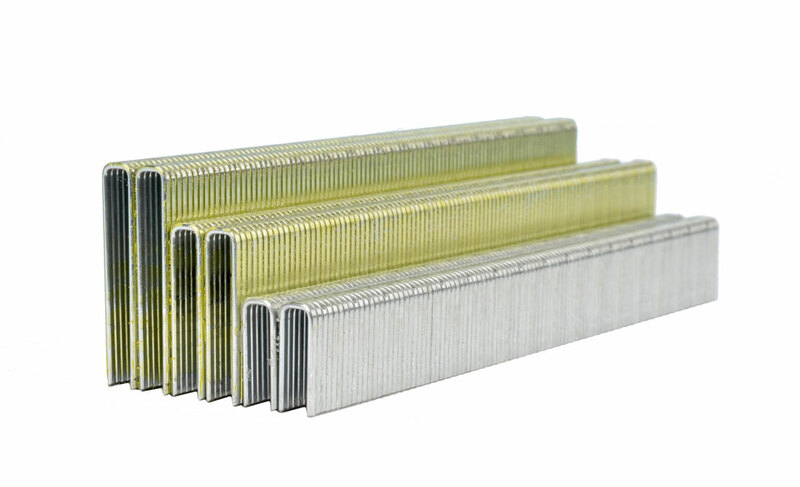 SB97 type staples 1-inch leg, Coated. 10,000/box. Fasco brand. SB97 type staples 3/8-inch leg, Galv. 5,000/box. Spotnails brand. SB97 type staples 1/2-inch leg, Galv. 5,000/box. Spotnails brand. SB97 type staples 5/8-inch leg, Galv. 5,000/box. Spotnails brand. SB97 type staples 3/4-inch leg, Galv. 5,000/box. Spotnails brand. SB97 type staples 7/8-inch leg, Galv. 5,000/box. Spotnails brand. SB97 type staples 1-inch leg, Galv. 5,000/box. Spotnails brand.